World Gin Day is fast approaching, again! It seems like only a few G+Ts ago that it was WGD2016, and well, there have been many, many gins since last year’s frivolities. 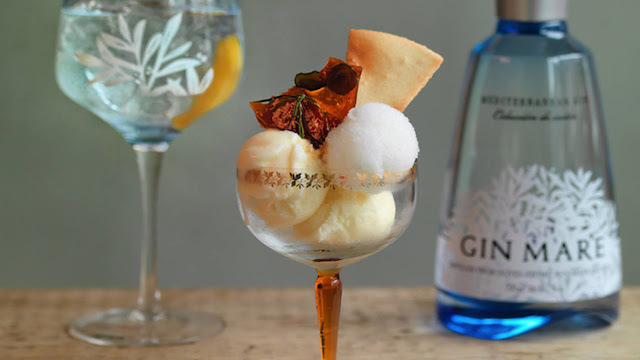 As ever, there will be plenty going on all around the UK, and further afield, but one thing that has caught our eye is a gin and tonic ice cream parlour pop-up. Just when you think gin can’t get any better, they go and add ice cream into the mix. Gin Mare and ice cream geniuses Ruby Violet are bringing the best sounding combo to the Capital for two days only. You’ll be able to find them in the courtyard at The Hoxton Hotel, Shoreditch, between 9-11 June. The ice cream and sorbets will be infused with gin botanicals, and topped with crystallised rosemary, dried olive, botanical brittle, savoury wafer, and gin-soaked orange peel. Yum. And of course, it’ll be served alongside Gin Mare G+Ts, garnished with the likes of mango and black pepper. Each gin and tonic, with ‘complimentary and complementary’ ice cream, will cost you £5, which in London sounds like an absolute bargain.